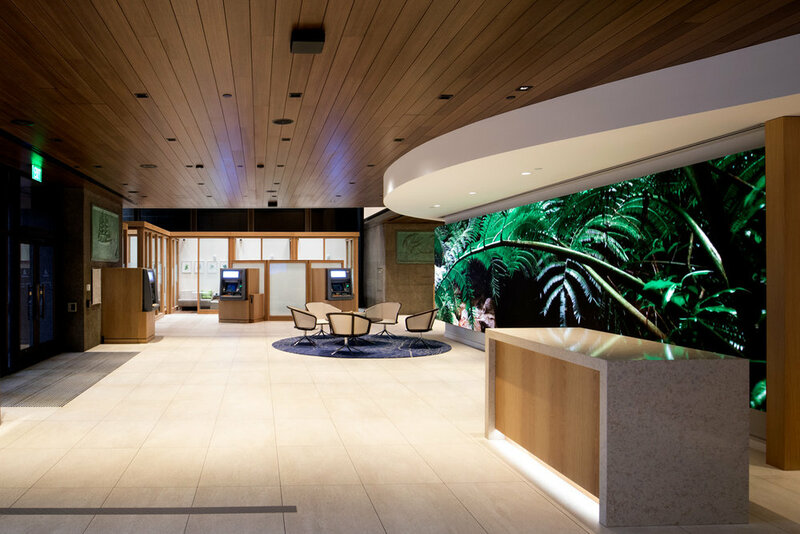 Among the recent upgrades to the main branch of the Bank of Hawaii in Honolulu, is a new digital wall—a cutting-edge FINE PITCH interior S|Video™ LED display with more than 2.4 million pixels. 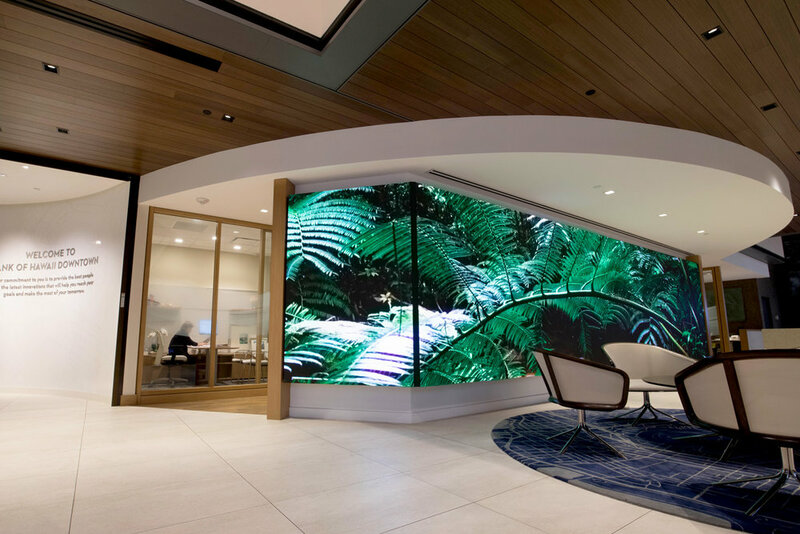 Measuring 33 feet long and seven feet high, the modern screen features a 3 mm pixel pitch, meaning the center of each pixel is just 3 millimeters (.19 inches) from the center of an adjacent pixel. 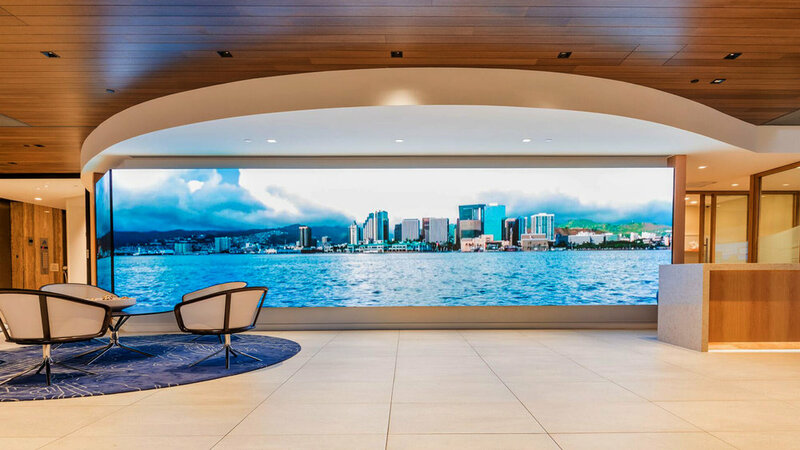 With almost two and a half million pixels (720 high x 3,360 wide), the LED video wall displays high-resolution video and images. 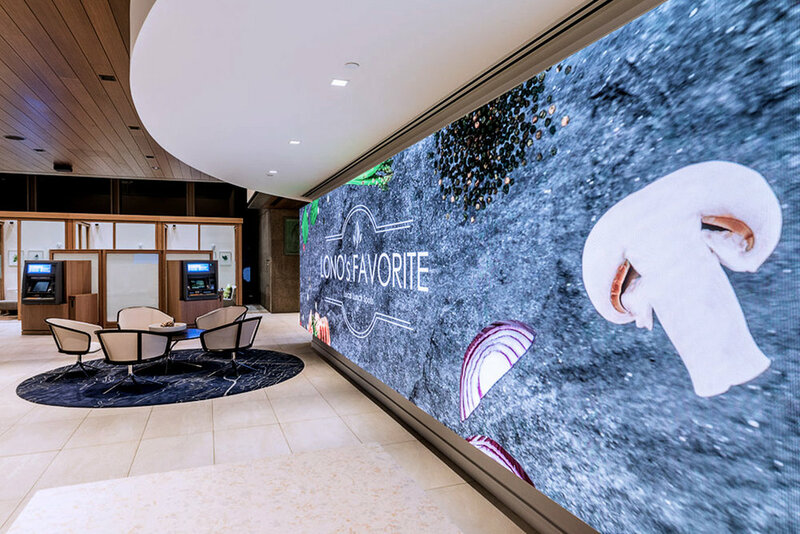 The vibrant lobby video wall spans the length of the bank’s entrance-facing wall, greeting customers with striking visuals. The display’s content rotates through bold, colorful imagery drawn from themes of the islands. The screen also serves as a state-of-the-art canvas for showcasing bank promotions and other marketing campaigns. 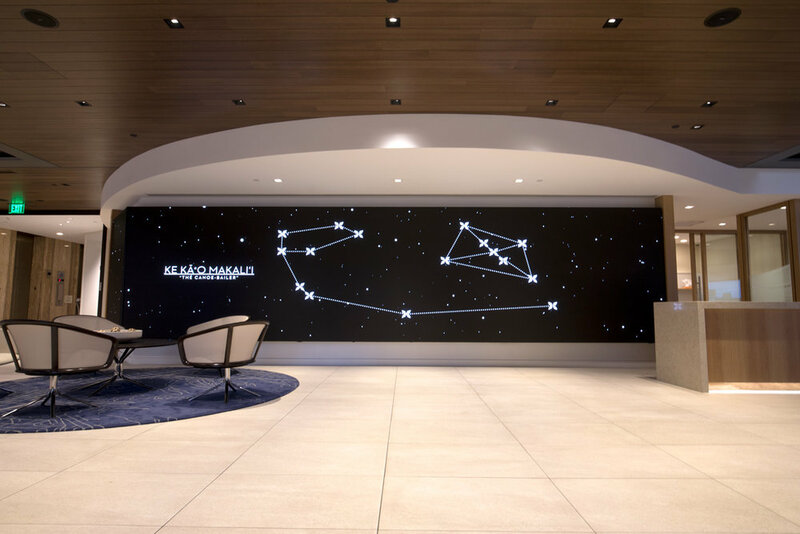 This interior LED video display employs surface-mount device (SMD) pixel technology, where the LEDs in each pixel are packaged together, allowing for crisp, clear imagery and a widened viewing experience. SNA Displays continues to provide an industry-leading array of interior and exterior products offered with SMD packaging technology. 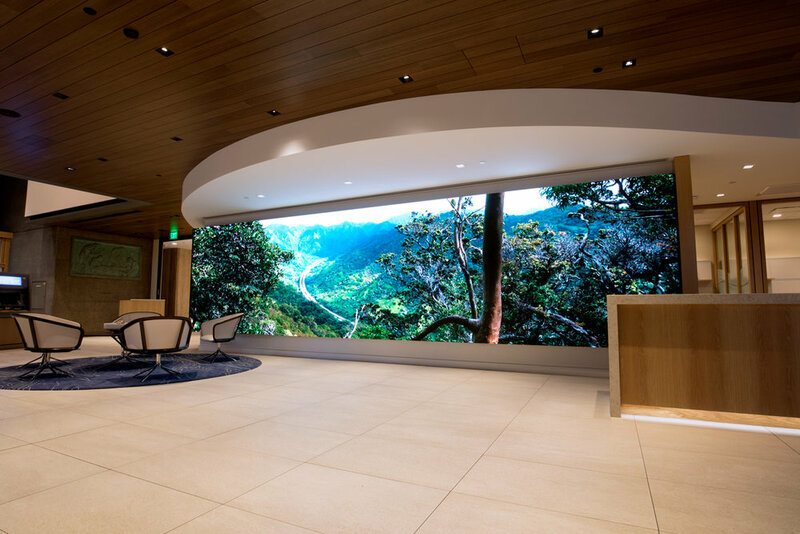 SNA Displays partnered with Ford AV, one of the leading commercial AV integrators in the U.S., to install and integrate 14 large subframe assemblies into one beautiful LED canvas. Ford AV designs, installs, and manages complex AV and lighting systems in a variety of verticals and is a member of SNA Displays’ channel program, a mutually beneficial partnership between SNA Displays and best-in-breed integrators, specialists, consultants and other value-added solutions partners. 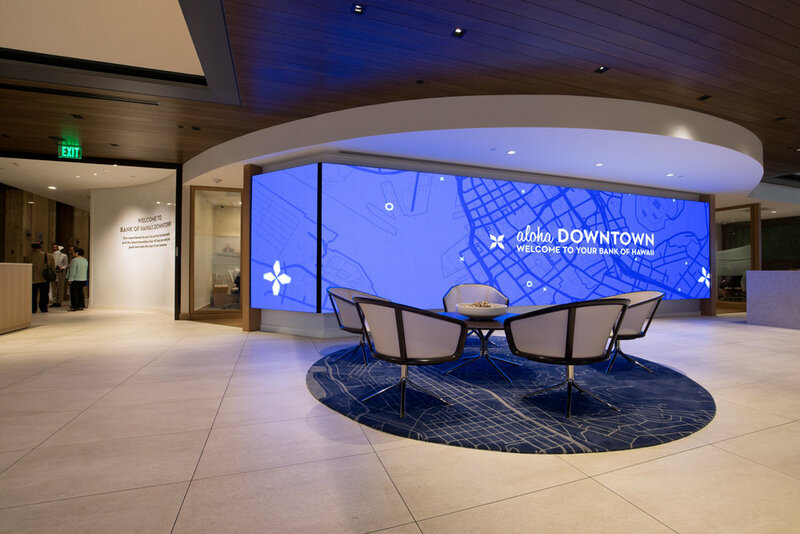 Contact SNA Displays for information on LED video displays, mixed-use venue technologies, or other products and services offered by SNA Displays.